My life has shifted on its axis. 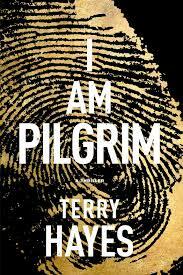 I finally delved into Terry Hayes tome, I am Pilgrim and now everything must change. I have to clear out my bookshelf and put this fantastic novel on a shelf all by its self while I ponder everything I just read. So move over Ludlum, shove over Lehane, there’s a new boy on the block and he’s bad (I mean “bad” in the colloquial sense, as in “Damn Good”). It’s a hefty novel, but that’s no deterrent, as I wish it were even longer. The novel centres on the protagonist Scott Murdoch? (The question mark becomes relevant once you’ve read the novel) who is an American spy, agent, deep, deep undercover operative etc. He is on a race to save the world from a biological attack and time is ticking, and in his spare time he solves a New York murder case –Ha, I love it! Terry Hayes is a man who knows his craft. This may be his debut novel,but Google his biography and you’ll see he has serious cred. His plotting is very tight and complex; the writing is intelligent and suspenseful. I sat in the waiting room at Toyota while I had new tyres fitted, and my hands were tightly gripping the book as I read the final chapters. How long does it take Toyota to fit two new tyres? At the end of the two hours I was at a pivotal point in the story, the Toyota man called my name. I put my hand up to silence the annoying man and resumed biting my nails and my eyes continued to rapidly scan the pages. I came to a suitable place to stop, raced home and finished the book. Like any great book it is still lingering in my thoughts. Hayes has created a hero that we haven’t seen since Jason Bourne, and I hope to see a lot more of him. This is a suspense novel that deals with sensitive and serious subjects and it is handle with respect, skilled observation and the critique of a good journalist. Hayes doesn’t dictate to the reader he is a masterful storyteller and the reader is taken on a thrilling journey. NB: This is an adult novel, if considering for a teen reader note that it does contain some torture scenes, although it is not an overly graphic novel.